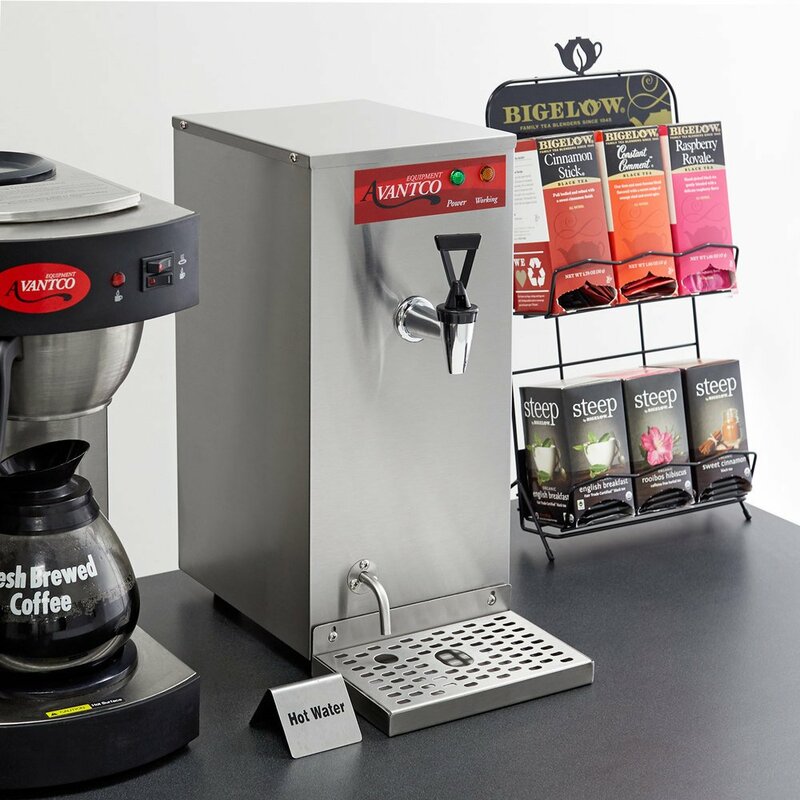 The Avantco 1.5 gallon hot water dispenser is perfect for times when you need a lot of hot water quickly or are setting up a hot beverage bar. Whether you are filling insulated beverage dispensers or individual tea cups, use this dispenser to make sure you never run out of hot water. Plus, with the simple yellow and green indicator lights, you and your employees can easily tell when the unit is heating and when the water is ready for use. This dispenser keeps hot water at a maximum temperature of 205 degrees Fahrenheit, the perfect temperature for hot tea. It features a water line that provides 30 - 80 PSI, as well as a stainless steel faucet. 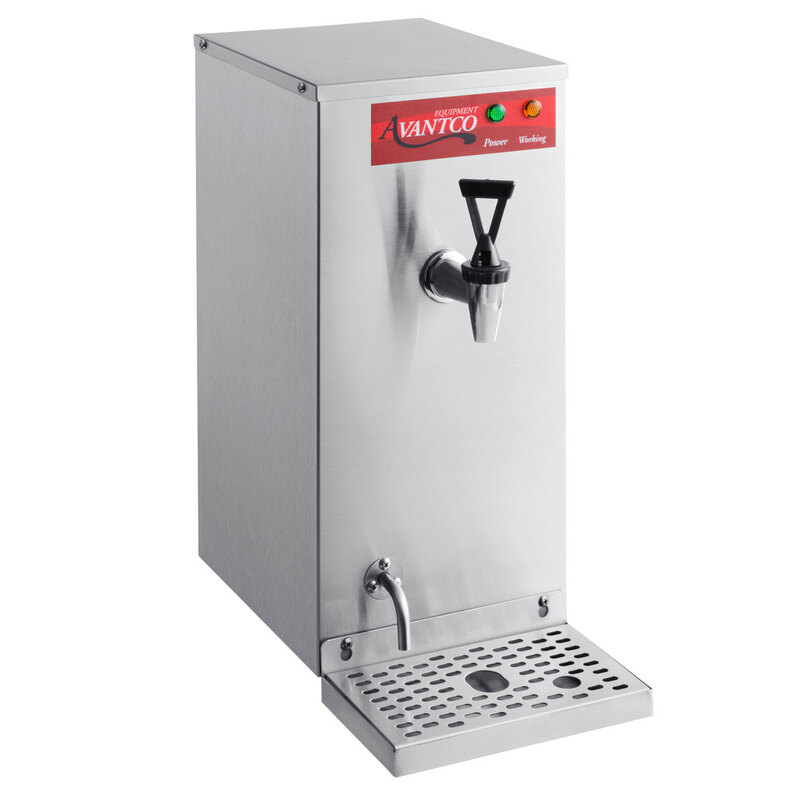 The dispenser is made with stainless steel for a strong, durable product that will last through many uses and features a cup clearance of 9 1/2" so that you can easily fill tall mugs and servers. The built-in drip tray catches any stray drops or spills to keep your work area clean and safe. This dispenser also has four 3/8" rubber feet so that it stays firmly in place during use! 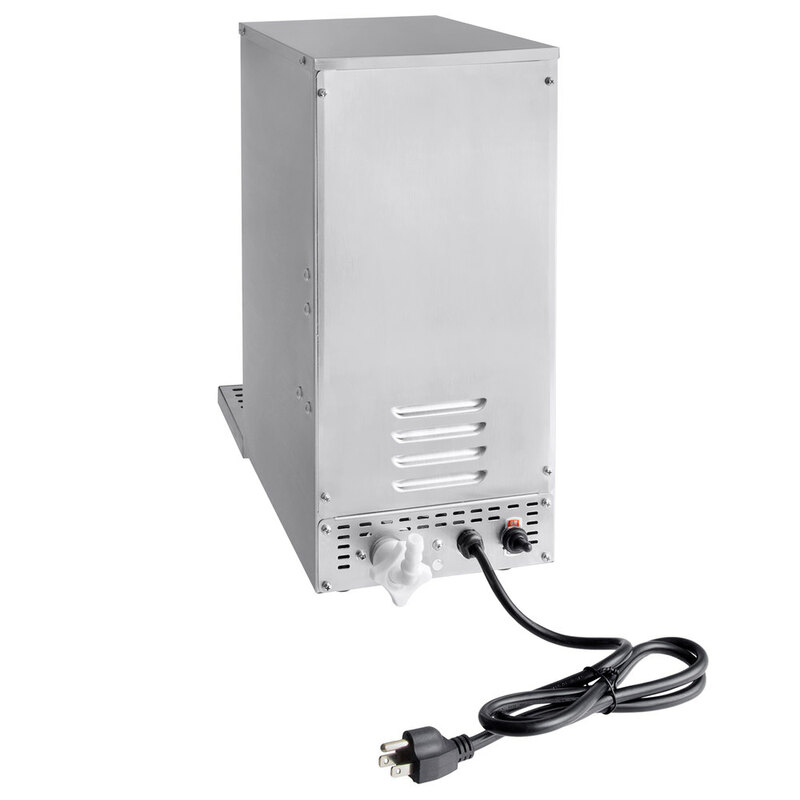 A great choice for your restaurant or cafe, this dispenser requires a 120V, 1450W, electrical connection.